I was sifting through Leite's Culinaria (one of my favorite recipe websites of all time; definitely go there after you're done reading my entire post ;) ) when I happened upon a chocolate chip cookie recipe that claimed to be the ultimate version. I was intrigued by the recipe because first of all, it was making quite the claim, and secondly, it had just enough interesting changes from a more traditional chocolate chip cookie recipe that the claim actually seemed possible. Notice the cake flour and bread flour called for in the recipe. Neither of those ingredients is standard in a basic chocolate chip cookie. Maybe those are the two top secret ingredients that put a chocolate cookie over the edge into Cookie Stardom. I had to know for sure! So I whipped up a batch of dough, tossed the bowl of dough in the fridge, and waited anxiously for a miserable 24 hours to bake it the following night. If you're wondering why I had to wait a night, it's because the recipe said to wait (it's not because I'm into self-inflicting pain), and I wanted to follow this recipe to a T so I could give it a proper assessment of its worthiness to be called "Ultimate." Fast forward to the next night, and I scooped mounds of dough onto my baking sheet, sprinkled fleur de sel on top of each mound, and baked them for no more than 10 minutes. It might sound ridiculous, but even just looking at them when they came out of the oven, I could tell these were a special breed of chocolate chip cookie. They had exactly the right coloring, the right thickness, and a heavenly aroma. Of course the first bite was what truly did me in and sealed the deal. These cookies deserve the "Ultimate" title. A cookie doesn't get any more perfect than this. 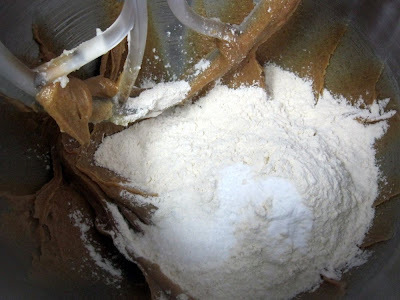 Sift together the flours, baking soda, baking powder, and kosher salt in a bowl and set aside. 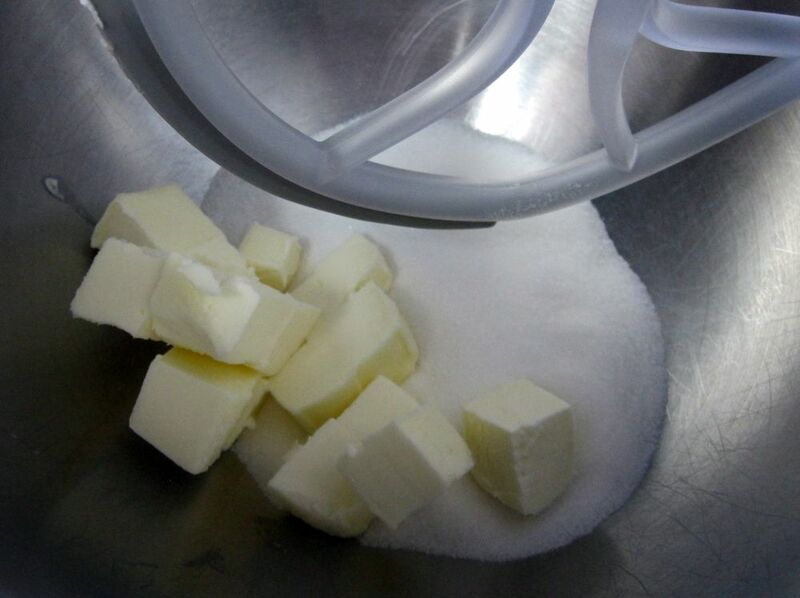 In the bowl of a stand mixer, cream the butter, brown sugar, and white sugar until light and smooth, about 5 minutes. Add the eggs, one at a time, mixing well after each addition. Beat in the vanilla. On low speed, beat in the dry ingredients just until combined. 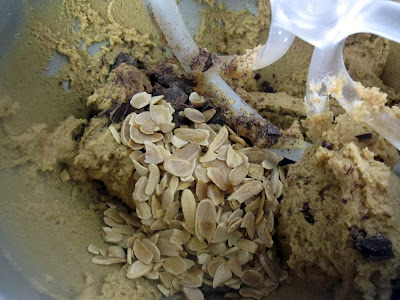 This should only take about 10 seconds; do not overmix or you'll have tough cookies. 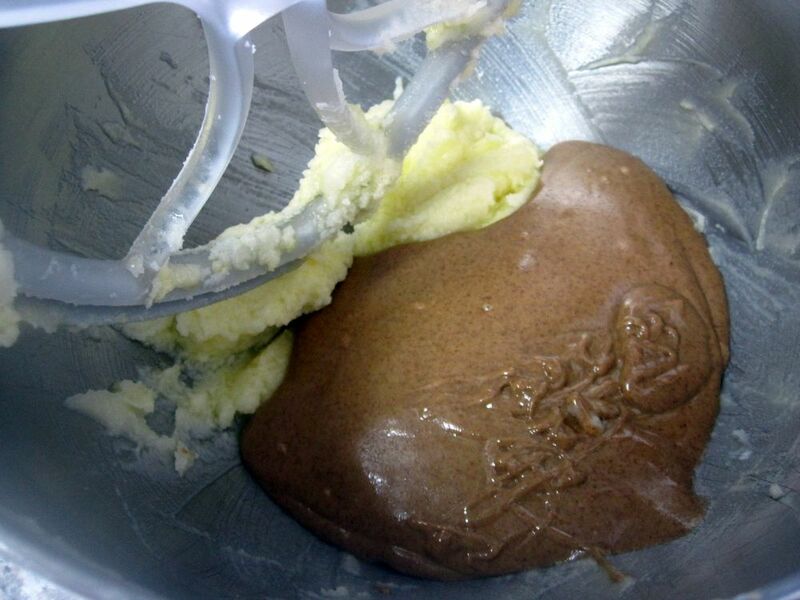 Add in the chopped chocolate and mix to incorporate. Cover the dough with plastic wrap by pressing the wrap directly over the surface of the dough in the bowl and chill in the fridge for 24 to 36 hours. Feel free to use only a portion of the dough at a time for up to 72 hours. That way you can keep making fresh small batches of cookies as you desire them! To bake the cookies, first preheat the oven to 350 degrees F. Line a baking sheet with a nonstick baking mat or parchment paper. Scoop heaping teaspoon-sized balls of dough onto the baking sheet, leaving at least an inch between cookies. Flatten any chocolate pieces that are sticking straight up so that they are lying horizontally. Then sprinkle the top of each mound of dough with fleur de sel. Bake for 8-10 minutes, until a very light golden brown, but pale enough that they look a little underdone. That will ensure they are chewy! 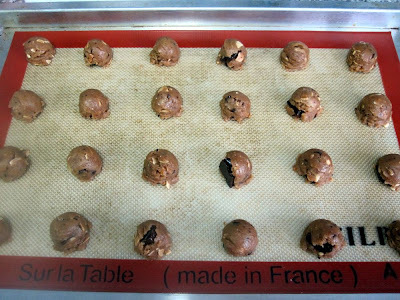 Remove from the oven and place the cookie sheet on a wire rack to cool for 10 minutes, then transfer the cookies from the sheet directly to a wire rack. Enjoy this perfect cookie with a tall glass of milk! It's February and I still have leftover cans of pumpkin. What a great reason to make pumpkin cookies. Not to mention, I have a bag of cinnamon chips that I picked up at the King Arthur Flour headquarters in Vermont last fall and they deserve to be featured in something where they can truly shine. These cookies allow them to shine. The crunch from two kinds of chips combined with canned pumpkin and pumpkin pie spice result in a fantastic cookie. As is common with pumpkin cookies, these are more on the cakey side than the chewy side. But I love them. I had a friend over the night I made these and let's just say, it's a good thing he has such a fast metabolism (we can all despise him). He must have inhaled 10 cookies without much of a breath between bites. 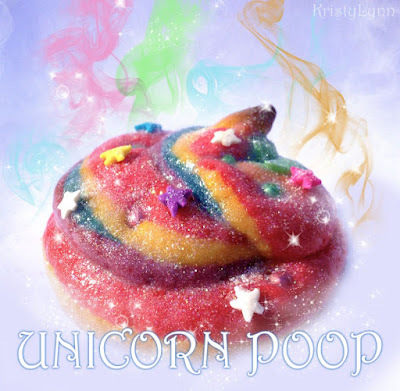 I'm already thinking I should make another batch of these. I still have more canned pumpkin to go through, and there are more friends to feed! Pre-heat oven to 350 degrees F. Line 2 baking sheets with parchment paper. In a medium bowl, whisk the dry ingredients together: flour, salt, baking soda, and pumpkin pie spice. Set aside. In the bowl of a stand mixer or using an electric hand mixer, beat the butter and sugars together until fluffy and light in color. 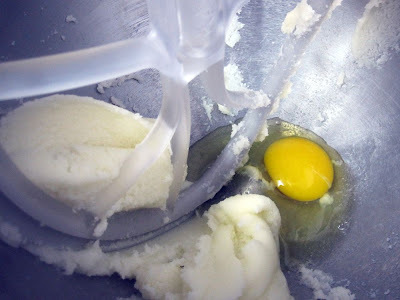 Add the eggs and vanilla and beat until incorporated, 1-2 minutes. Then beat in the pumpkin. 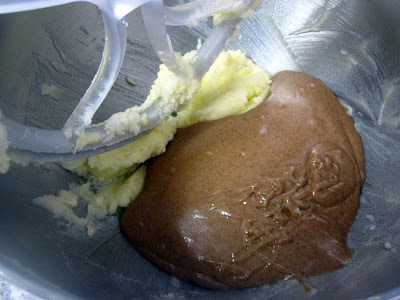 Gently stir in the dry ingredients and do not overmix. Stir in the chocolate chips and cinnamon chips. Scoop tablespoonfuls of cookie dough onto the prepared baking sheets, spacing each mound 1 inch apart because they will spread. Bake 8-10 minutes. 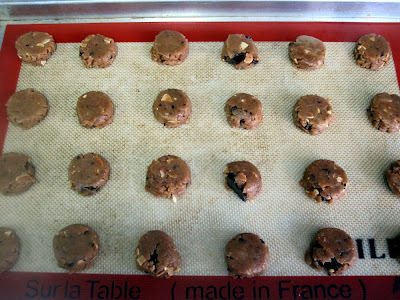 The cookies will look set when done, and you can test this by lightly pressing your finger against the top and if it doesn't leave an indentation, it is ready. Cool on baking sheet for 10 minutes, then transfer to a wire rack to cool completely. Bake at 350 degrees F for 8-10 minutes. Allow to cool, then enjoy!